Which Carpet for Allergy Sufferers? 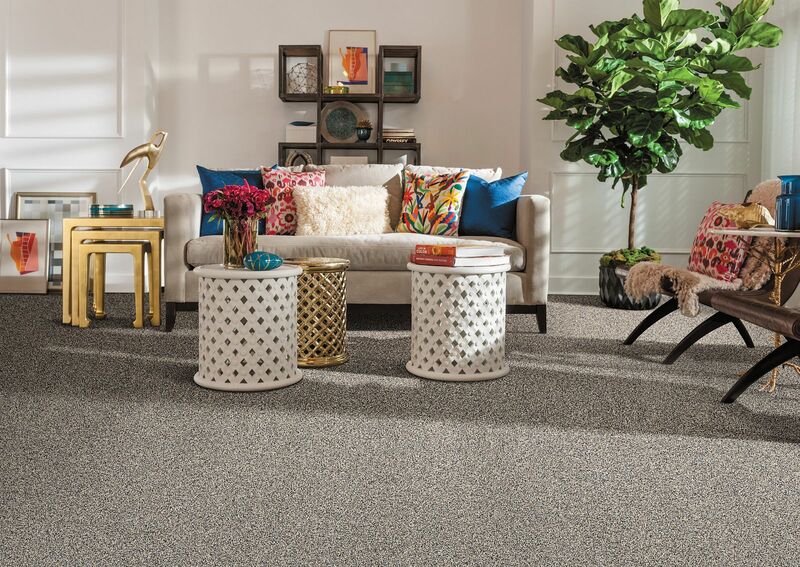 In a recent study it was shown that carpet trapped allergens to a greater extent than hardsurface floors, resulting in fewer particles escaping into the air. Allergens trapped by carpet did not return to the carpet's surface or the air, even when the carpet was disturbed by walking or other similar activities. Furthermore, effective carpet cleaning - such as vacuuming with a high efficiency filter and hot water extraction reduced both surface allergens and airborne particle counts, maintaining indoor air quality. This independent series of studies was commissioned by Shaw Industries, the world's largest carpet manufacturer and a leading flooring provider, and conducted by Airmid Healthgroup limited, a leading biomedical research organization that conducts health-based research. The data were presented at the 2012 annual meetings of the American Academy of Asthma, Allergy, and Immunology (AAAAI) and the American College of Allergy, Asthma and Immunology (ACAAI). Studies were conducted by installing carpet in a stainless steel test chamber room. The room with the carpet was allowed to stabilize in the environment and then a known amount of dust containing allergens was introduced into the test chamber. Measurements were taken with very sophisticated electronic equipment that has the ability to quantify the amount and size of the particles in the air. After the introduction of the dust with allergens, the room was left with no disturbance for a period of time with measurements monitoring the time it took for the dust to "settle" out of the air. A person then disturbed the environment using the following methods: opening the door, sitting in a chair, walking around the room, and bouncing a ball. Measurements were taken during and after each disturbance. Prior research in 2002, performed by Professional Testing Laboratory studied the effect of foot traffic on air quality, using commercial carpet and commercial hardsurface flooring. Following 16 minutes of foot traffic over both surfaces, the particulate concentration over the hardsurface flooring was found to be four times that of carpet. In a paper from 2008, "Carpet, Asthma and Allergies - Myth or Realty," Dr. Mitchell Sauerhoff, Ph.D., DABT, examined numerous scientific studies and other research contradicting some long-held beliefs on carpet's alleged negative characteristics.